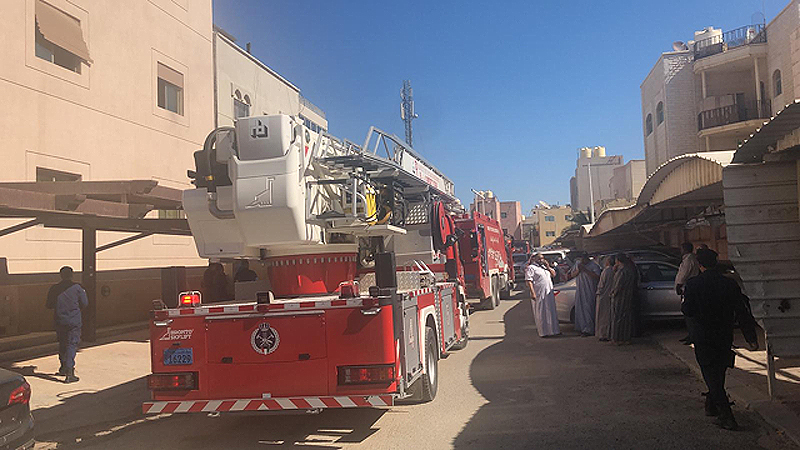 KUWAIT: A three-storey building and a basement in Andalus caught fire, prompting Ardiya and Sulaibikhat fire stations to respond. The fire was on the first floor with three persons trapped on the second floor (a woman and two girls, in good condition). A fireman suffered from smoke inhalation and lost consciousness, and was taken to hospital. Farwaniya governorate’s prevention department carried out an inspection campaign in Rai, where 20 violations were detected for non-renewal of licenses, random storage, closure of emergency exits and turning offices into laborers’ residence.